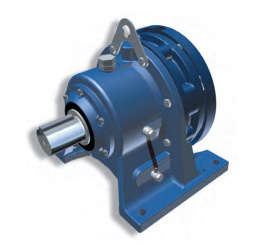 Sumitomo Cyclo® speed reducers and gearmotors are the premier in-line drives. The revolutionary Cyclo® design provides quiet, efficient and reliable performance exceeding that of involute tooth gear designs. The key to Cyclo®’s matchless performance and reliability is that 67% of the reduction components are in contact at all times, compared to geared designs that use only limited tooth contact. Unlike geared designs, the Cyclo®’s reduction components operate in compression rather than shear, which results in exceptionally rugged and shock resistant performance. The Cyclo® technology coupled with innovative product options and accessories offer the most extensive range of application solutions available.